Emerson has announced it has completed the purchase of MYNAH Technologies, a long-time Emerson alliance partner and a provider of dynamic simulation and operator training software. MYNAH’s solutions enable plant engineers and technicians to test and improve process control strategies and train plant operators in offline, real-world scenarios before implementing them in live production. The addition of MYNAH will help support Emerson Automation Solutions and its Operational Certainty™ programme designed to help industrial companies achieve top performance. “Adding MYNAH’s simulation software and expertise allows us to provide customers with more advanced process simulation and training solutions. This will help improve plant performance, safety and profitability by allowing them to fully optimise their human and automation resources,” says Jamie Froedge, president, Process Systems and Solutions, Emerson Automation Solutions. 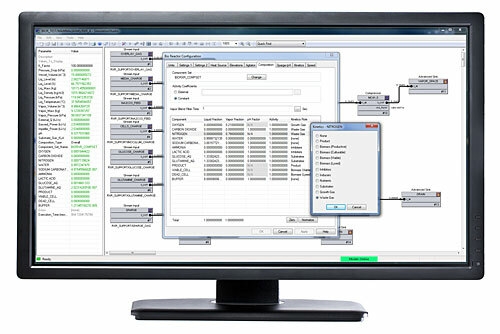 MYNAH’s Mimic Simulation Software is currently in use at more than 1,400 sites across 68 countries in industries ranging from hydrocarbon production to refining, chemical, pharmaceutical and biotechnology. The company’s portfolio also has integration solutions that connect Emerson’s DeltaV™ distributed control system and its production improvement capabilities with additional plant systems, helping Emerson meet customer demands for more integration and related plant performance improvements.